Too much Disney in Once Upon a Time? When I first heard that ABC was creating a series about fairy tale characters torn from their native world, I anticipated a show full of magic and expected new takes on the traditional stories. I ended up getting what I was hoping for, but I didn’t realize Disney was going to use Once Upon a Time to reference every movie they’ve ever made. I first clued into the fact that Disney owned ABC when we were introduced to the seven dwarfs, because they are all named after the characters from the Disney movie (Grumpy, Bashful, Dopey, Doc, Happy, Sleepy, and Sneezy), while in the original Brothers Grimm tale, the dwarfs are unnamed. All right, fine—I was hoping for more references to the traditional fairy tales, but I guess I can live with that, Disney. As the show progressed, however, I noticed more and more Disney references, especially with names. For instance, the fairy who helps Geppetto is called the Blue Fairy, like in the Disney film. The witch who curses Sleeping Beauty is named Maleficent, and Sleeping Beauty is called Aurora. The talking cricket’s name is Jiminy Cricket. The characters from the Beauty and the Beast story are named Belle, Gaston, and Maurice. Okay, Disney, name the characters what you want, as long as they’re from fairy tales, I won’t complain. Cue entry for the Mad Hatter from Alice in Wonderland, Hook and Smee from Peter Pan, Mulan, and Frankenstein (don’t ask me what he’s doing there). Those characters aren’t even from fairy tales! 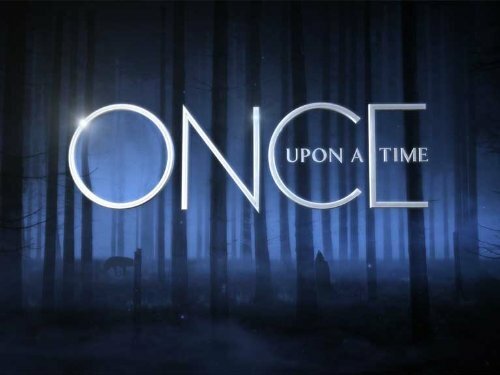 Once Upon a Time is trying to mix so many worlds into the pot of one show. So far it is working, but I hope it doesn’t become too convoluted. I wonder where they will draw the line and who is going to show up next… Pocahontas? Tarzan? Robin Hood (in fox-form, of course)? I am still enjoying the show a lot and I love the twists they are putting on these tales (Red Riding Hood as a werewolf and Rumplestiltzkin as the “crocodile” who cut off Hook’s hand were two of my favourite surprises). I just had to come to terms with the lack of focus on original fairy tales and Disney’s hand stirring the pot. At this point I’m going with the flow and curiously awaiting the next surprise character appearance. Allison is an all around geek, writer, gamer, and reader, with a passion for science fiction and fantasy. A few of her favourite shows are Doctor Who, Firefly, Eureka, Fringe, Castle, Avatar: The Last Airbender, Once Upon a Time, and Warehouse 13. My personal favourite sci-fi/fantasy shows of the year. Very interesting Allison, and huge welcome to TVGA ! Welcome to TVGA Allison! Interesting article - I've had this debate with friends and family who watch the show on several occasions. So far, I'm willing to give the writers the benefit of the doubt for now. None of the "Disney" characters are as G-Rated as their cartoon counterparts, and it's not like they're ripping off Pixar movies, which would be a stretch too far, I think. Expanding the world to include Dr Frankenstein was a polarizing tactic, but I enjoy the dynamic it adds to the world. No one is discluded from making an appearance. I have to argue your not counting 'Wonderland' as a fairy tale, though, same with the world of Peter Pan. Sure, they're not the typical 10-page morality tales that characterize something by the Grimms or Hans Christian Andersen, but they're arguably the most permeating children's stories in our generation. I was anticipating Wonderland since the pilot episode when they showed one of the original illustrations in Henry's book. I think their next big step will be joruneying to the land of Oz. Disney has Oz: The Great and Powerful out next year, and there's a huge collection of stories to draw from instead of revisiting Dorothy and the Wizard. It's definitely something the show could pull off. Thanks for the welcomes! When I think of fairy tale, I think the Grimm brothers and Hans Christian Anderson, so that's why I was surprised when Wonderland and Neverland were included. I agree they are fantastic children's stories, I just don't classify them as "fairy tales." I wouldn't be surprised if Oz showed up soon either! There was a blue fairy in the original Carlo Collodi Pinocchio, but the exact translation is ssomething like "the turquoise haired fairy." I like the crazy way the worlds all come together, I like to think of the magic kingdom (note the lower case--i don't mean Disney there) as sort of an all encompassing land of make-believe. I think that the difference in their Disney characters is that they are darker and have more interesting stories. I love how they mix the characters too like Snow and Ruby being allies in the fairy tale world. I do find Frankenstein a little out there and I don't think we have seen the last of a strange addition like Frankenstein. When once upon a time came on I enjoyed it...at first. But the increasing saturation of Disney characters has killed my interest in it. The introduction Of Lumier and Princess Leia was the last straw. The grimms brothers must be spinning in their graves by now. I would t be surprised if Disney himself didn't come back from the grave just to slap the person responsible for this twisted warped images of his beloved characters and studio. A pix on all those greedy board members who did this.